Airtel wireless Inc has been established in 7th July, 1955 by Sunil Bharti Mittal. It is a telecommunication service and has operations in around 20 countries. However, it is GSM operations worldwide and is the 3rd largest in the industry. It has more than 261 million customers in more than 20 countries as per stated in the report of August, 2012. Mr. Sunil Bharti Mittal is the MD as well as Chairman of the company. It has nearly 21,299 employees and total assets around $14.49 billion being stated in 2012 report as well. Additionally it offers data solutions, internet services, fixed line voice and lots more. There are currently 0 consumer reviews about Airtel Wireless Inc available. Share your review. 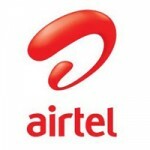 Please take a note that you are about to post a public review about Airtel Wireless Inc corporate office on CorporateOffice.com. This review will be public, so please do not post any of your personal information on this website. If you would like to contact the corporate offices of Airtel Wireless Inc, please use their contact information such as their phone number, website, and address listed above to contact them. However, sometimes staff from Airtel Wireless Inc headquarters do read the reviews on this website.